U.S. military Osprey aircraft crash-landed off Japan’s southern island of Okinawa, but its five crewmembers were safely rescued. 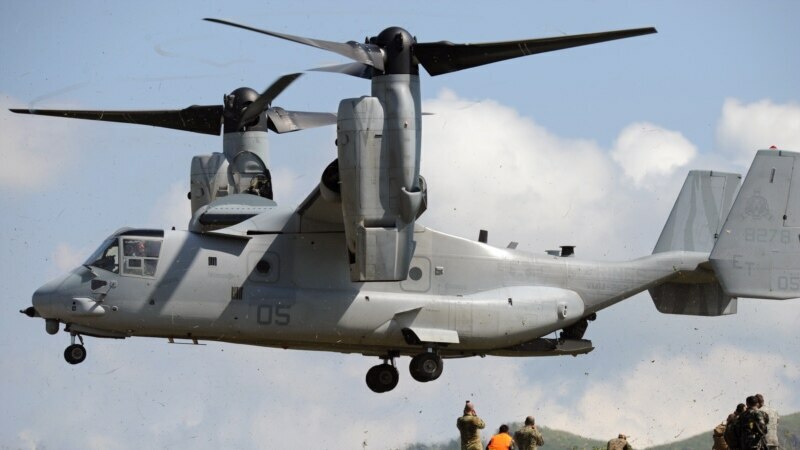 The U.S. Marine Corps said Wednesday that an MV-22 Osprey tilt-rotor aircraft landed in shallow water off Okinawa’s east coast late Tuesday. They said in a statement that the crewmembers were airlifted to a Navy hospital at the Kadena Air Base for treatment. Japanese defense officials said two of them sustained injuries that were not life threatening.